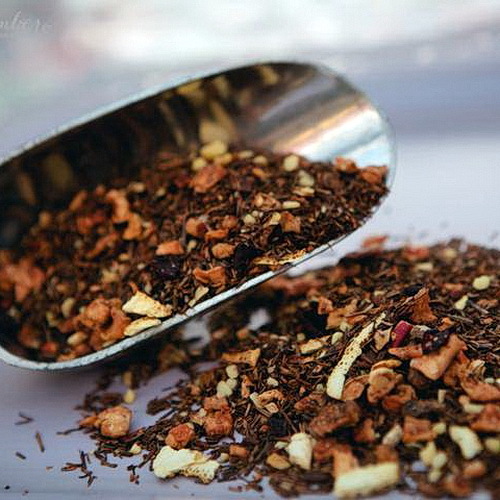 Rooibos, pronounced “Roy Boss” and colloquially known as Red Tea, is an herbal plant that grows in South Africa. 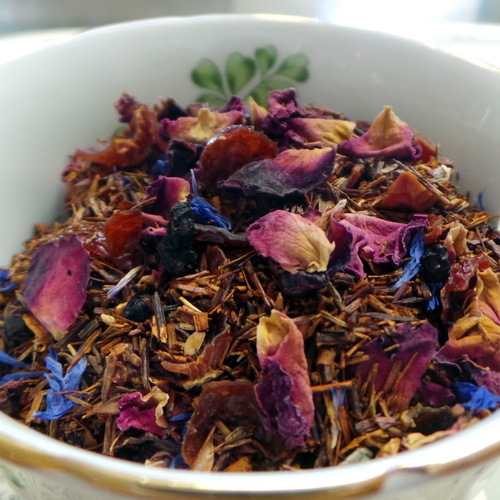 A flavorful, caffeine‐free alternative to tea. 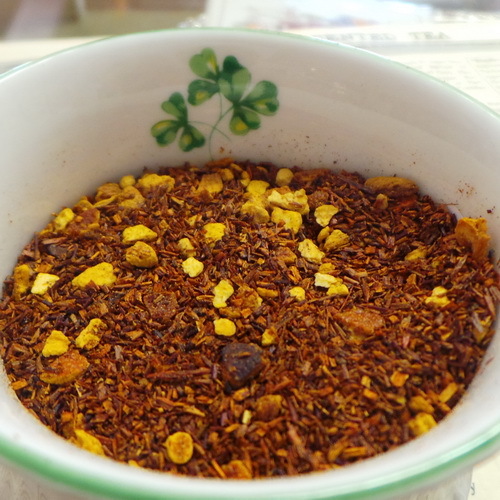 Rooibos, is an African word of Dutch origin meaning “Red Bush”, a bush with fine needle‐like leaves. 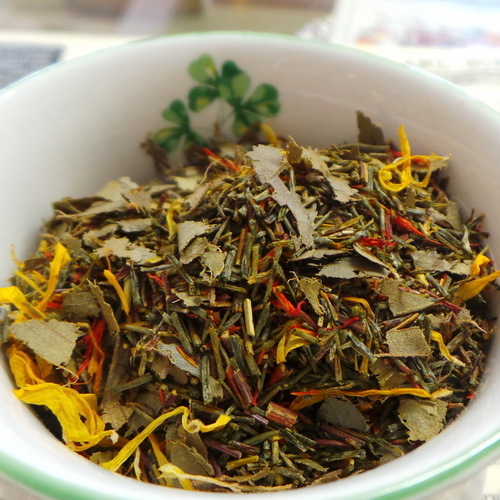 The leaves are chopped and bruised which starts a fermentation process resulting in a fruity refreshing herbal tea. 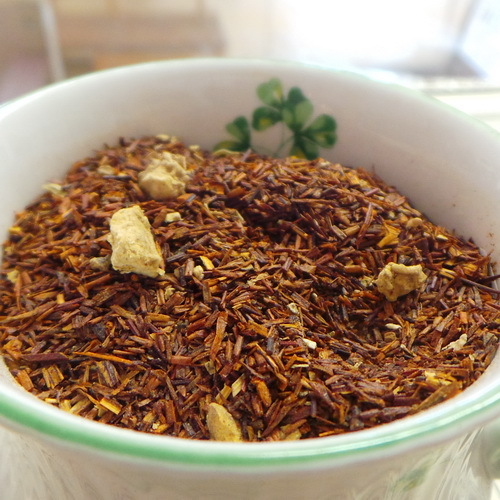 Rooibos contains trace minerals and is high in anti‐oxidants which scavenge on toxic compounds attributed to aging and immune system decline. Red tea is caffeine free.